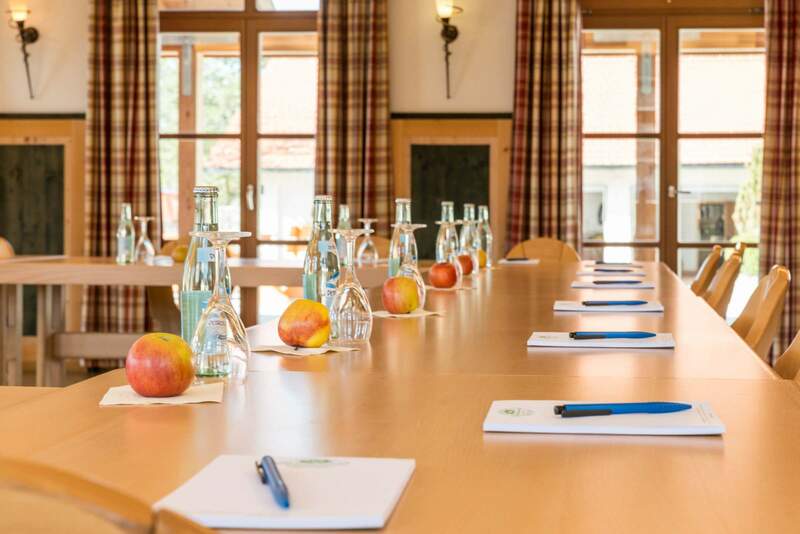 The idyllic surroundings in the rural health resort Bad Heilbrunn set the perfect stage for conferences, seminars and other group events. Thanks to the excellent infrastructure south of Munich, the participants of your conference will have no trouble arriving in time and without hassle. 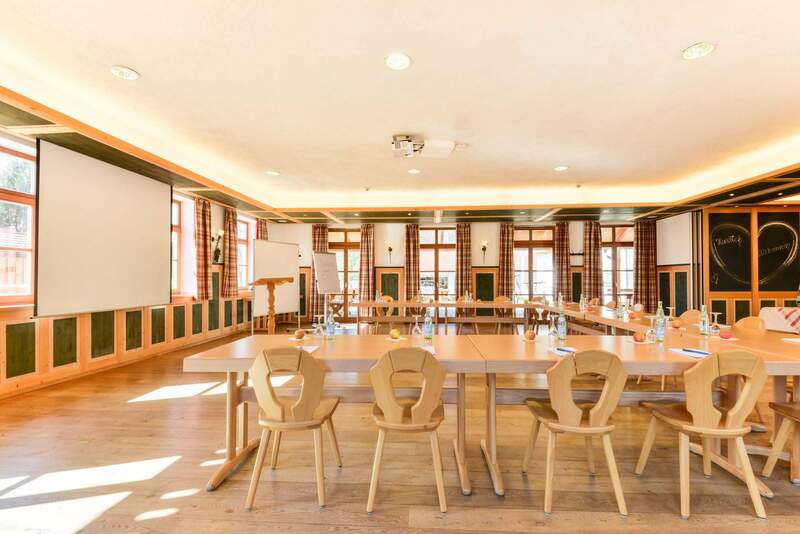 With our flexible room concept and a large outdoor area in combination with the modern conference technology that we offer, the Reindlschmiede is an ideal place for all kinds of events. 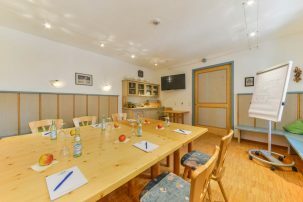 You can not only rent our rooms, we will also gladly put together a conference package or a catering concept for your guests and they can stay in our comfortable hotel rooms. 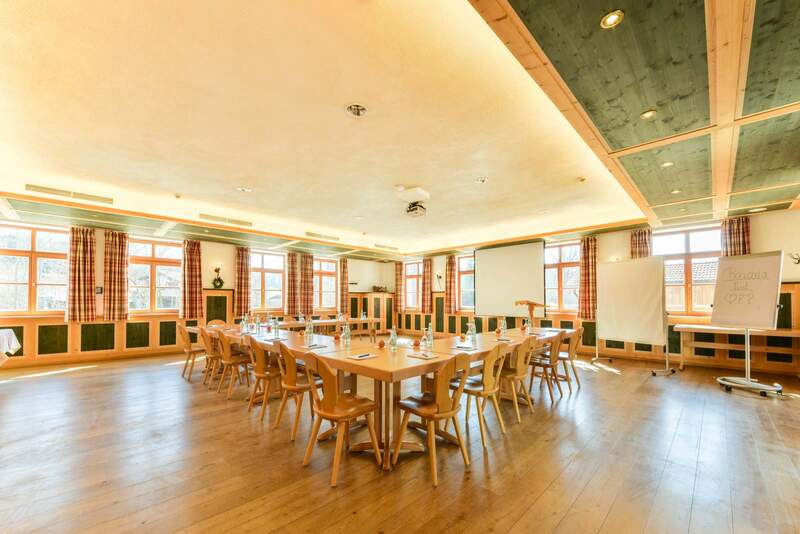 Depending on your requirements and on the resulting seating concept, the Schmiedn Saal is large enough for up to 150 guests. 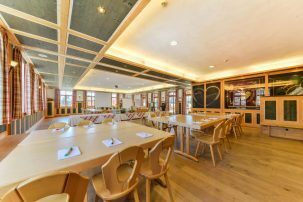 The elegant wood-based interior design and the massive tables and chairs convey high quality and comfort. The modern conference technology that we offer guarantees a modern presentation of all your conference content. We have projectors and screens for you to show films, pictures, and Power Point presentations. A quality audio system enhances the visual effects by providing good sound and by making it easy for the participants to understand your speaker. There are numerous ports to plug in devices of your own, such as notebooks and USB sticks. In addition, our free Wi-Fi lets you work effectively with online content. Especially when guests come a far way and if the conference ends late, everyone is happy about some nice food. Breakfast, brunch, snacks, beverages, lunch or dinner – we offer numerous different concepts for your catering that we can easily arrange as a fixed rate per participant. Eating together provides a pleasant break from work and gives everyone new energy so that they can continue to concentrate on your conference later. A well-calculated rate per participant facilitates the organization effort for you and is less expensive than individual board. Themed dinners with buffet or menu depending on the occasion. Single rooms including breakfast available for up to 18 participants. Feel free to send us an inquiry without obligation for your conference or seminar at the Reindlschmiede. 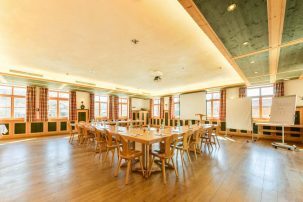 Our friendly staff will contact you as soon as possible to assist you in planning your event and to give you comprehensive advice on anything you would like to know. Please note that any fields marked with a (*) are obligational.